Peepal Tree Press Ltd., 9781845232498, 128pp. A boy is killed on a government minister’s orders as part of his mission to clean up the country and others made complicit must explore their consciences; a youth gets ready to play his role in the country’s lucrative kidnap business; a sister tries to make peace with the parents of the white American girl her brother has murdered; a gangster makes his posthumous lament. Trinidad in all its social tumult is ever present in these stories, which range across the country’s different ethnic communities, across rural and urban settings, from locals and expatriates to the moneyed elite and the poor scrabbling for survival. What ties the collection together is Sharon Millar’s achievement of a distinctively personal voice: cool, unsentimental and empathetic. If irony is the only way to inscribe contemporary Trinidad, there is also room for both generous humor and the possibility of redemption. 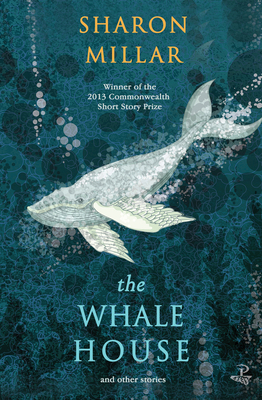 Sharon Millar is the recipient of the Commonwealth Short Story Prize and the Small Axe Short Fiction Prize. Her work has appeared in "Granta Online," the "Manchester Review," and "Small Axe," and was also featured in the anthology "Pepperpot: The Best New Stories from the Caribbean."